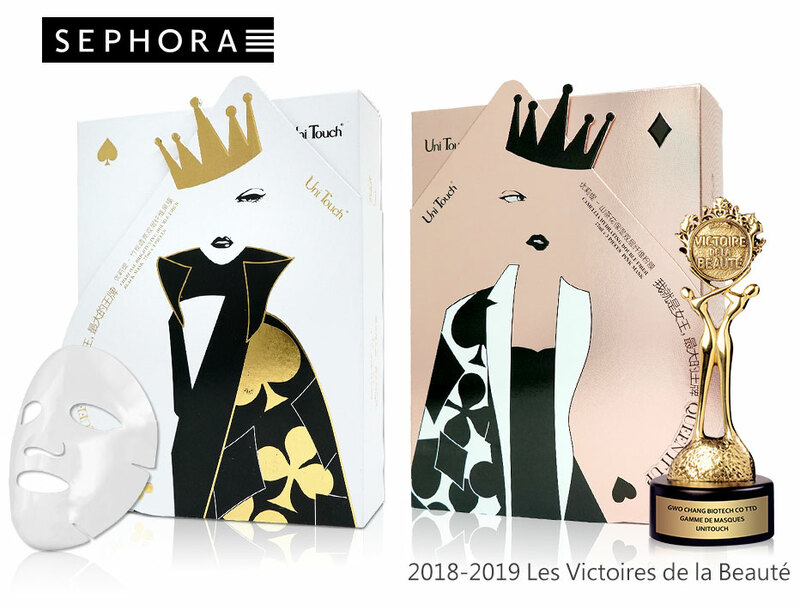 October 2018, UNITOUCH’s all new Queen’s brand masks will be arriving in stores at Sephora worldwide! Created especially to provide our customers with a royal treatment fit for a queen, and bringing you the solution to all your skincare problems once and for all. Our new Queen’s series targets skin that has lost its elasticity due to damaged tissue in the skin that results in an inability to absorb nutrients necessary for the maintaining of supple and healthy skin. 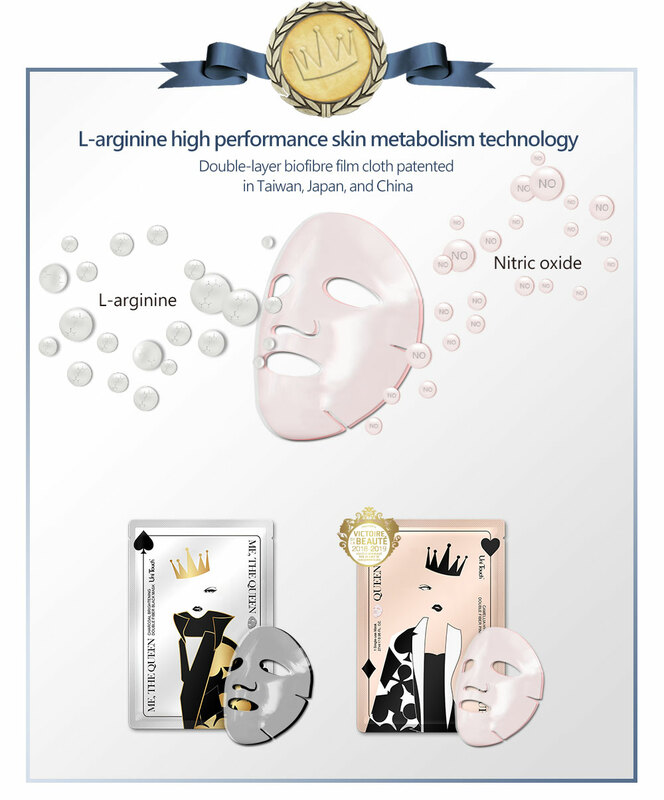 Using skin vasodilation technology created from the results of the 1998 Nobel Prize, L-arginine is used in UNITOUCH’s all new Queen’s brand masks to increase metabolic processes within the skin. L-arginine is a wonderful amino acid supplement that serves as the only source of nitric oxide, an important precursor element for vasodilation within the skin. This increase in vasodilation helps support previously collapsed collagen layers, opening and cleansing previously clogged pores. When coming up with the design for the new mask, a new double-layered biofibre film cloth patented in Taiwan, Japan, and China was selected. On the first layer of the fibre, probiotics are cultured to create a biofibre layer. Then through the interlacing of the natural water absorbent layer and the biofibre layer, the essence is able to quickly diffuse and penetrate the skin, allowing for an effective and continuous delivery of nutrients from the mask into the skin! UNITOUCH's all new Queen's brand masks. Two new masks designed especially for women, providing moisture and glow to your skin by utilizing skin vasodilation technology from the 1998 Nobel Prize. Using L-arginine to increase vasodilation within the skin, along with five different minerals and yeast fermentation products (magnesium, copper, zinc, iron and the products of yeast fermentation) to create a restorative essence, as well as combining a bamboo essence carbon layer with a mountain tea essence layer to create a dual-layered fibrous film, we bring you a mask that can effectively improve roughness, loss of glow and suppleness of the skin, and provide your skin with a natural illuminating glow. In June 2017, UNITOUCH's So what?!! 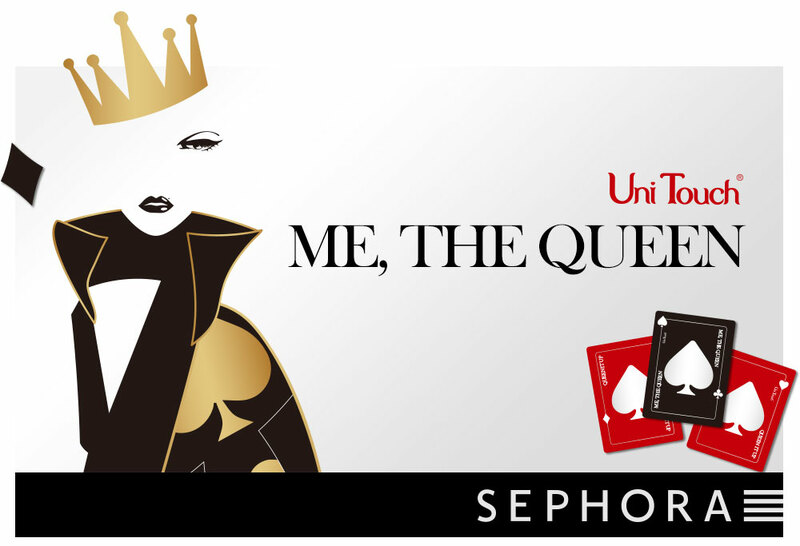 series was the first series to arrive in stores at Sephora. Following So what?!! were the "Bad girl" and "Fairy Tail" series, all of which were met with excellent reviews and a resounding demand for more. In 2018, the international expansion of Sephora's beauty line has already expanded to Poland, Indonesia, India, and more, and will continue on to Singapore, Australia, New Zealand, Thailand, Malaysia, Philippines, the Czech Republic, Spain, and more. In October 2018, the Queen's brand facemasks made with bamboo essence carbon layer with a mountain tea essence layer to create a dual-layered fibrous film will further be arriving in stores in three piece boxes (218 RMB per box), to soon again win the love of women who are fans of UNITOUCH facemasks, and giving all women the opportunity to have confident, radiant, and healthy skin, much like a queen waving her cape around proudly!